BUFFALO, N.Y. — In a new study, University at Buffalo scientists describe the role that a protein called TFIIB plays in helping cells repair DNA damage, a critical function for preventing the growth of tumors. The research appeared online on Oct. 30 in the Proceedings of the National Academy of Sciences (PNAS) Early Edition. TFIIB, short for “transcription factor II B,” is a protein that binds to DNA in cells to initiate the process of transcription, which is critical for building new proteins. When DNA damage occurs, TFIIB is altered in a way that halts general transcription, enabling a cell to give priority to repair, the researchers found. With the shut-down in effect, cells are able to prioritize the important functions carried out by a tumor-suppressing protein called p53, said lead author Jayasha Shandilya, a postdoctoral researcher in UB’s Department of Biological Sciences. 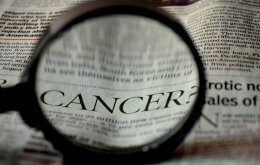 About half of cancer cases involve a mutation or deletion of the p53 gene. When DNA is damaged, it activates p53, which not only stimulates the DNA repair pathway, but also triggers the synthesis of proteins that stop cells from dividing before problems are fixed, she said. In cases where the damage is irreparable, p53 initiates apoptosis, a process of programmed cell death. In PNAS, Shandilya and colleagues report that for normal transcription to occur, TFIIB must undergo a process called phosphorylation, in which a phosphate group is attached to the protein. But when the scientists studied cells treated with DNA damaging agents, they found that TFIIB was dephosphorylated, preventing general transcription and enabling the cells to focus resources on helping p53 carry out its tumor suppressing functions. In essence, p53 can bypass the need for TFIIB phosphorylation to activate transcription of its target genes, which are vital for DNA damage response. Shandilya’s colleagues on the PNAS paper are Yuming Wang, currently working at Cancer Research UK, and Stefan Roberts, assistant professor of biological sciences. Roberts oversaw the study, with funding from the National Institute of General Medical Sciences, one of the National Institutes of Health.